The Kyaiktiyo Pagoda, today also known as the Golden Rock Pagoda is located on top of Mt. 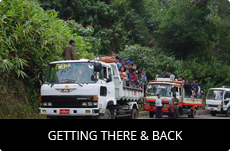 Kyaiktiyo at 3615 feet (1102 meters) above sea level, in the Mon State and approximately 130 miles (210 km) from the city of Yangon. The Pagoda was built more than 2500 years ago. Legend has it that the Pagoda was built on a Hair relic that was given to a hermit by Buddha Himself. The hermit treasured the sacred Hair in his hair knot until he found a boulder resembling his own head on which he could build a pagoda to enshrine it. In the Mon language “Kyaik” means “pagoda” and “Yo” means “to carry on the head” “Ithi” in Pali means “hermit”. Thus the name “Kyaiktiyo” derived from “Kyaik-Thi-Yo” , “ the pagoda carried on a hermit’s head”. 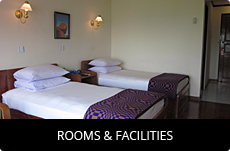 It can also be qualified as one of the wonders of the world by virtue of the fact that it sits uniquely at the apex of a huge, almost egg shaped granitic boulder. This boulder (now completely gilded) is precariously perched on a projecting tabular rock. The gilded boulder and the rock table are two separate pieces, the boulder actually balancing off the extreme verge of the sloping surface of the rock and overhanging it by nearly half its length. This slope drops down perpendicularly into the valley below. On the other side, the rock table is separated several feet from the rest of the hill by a deep chasm, now appended by a small foot bridge. By gently rocking the boulder a thread can be passed through between it and the rock table. When viewed from a certain angle, this separation can be appreciated by virtue of a thin beam of daylight shining through. 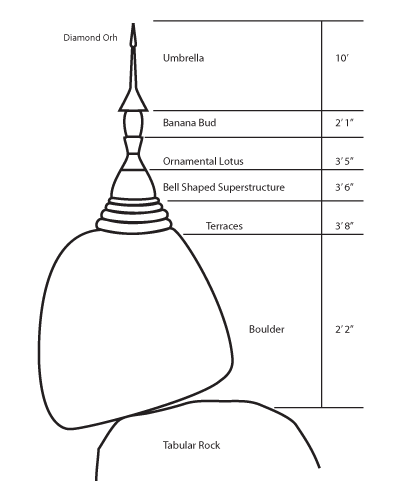 It is not known what freakish law has kept the boulder in its precarious position for many centuries and despite several violent earthquakes; but pious Buddhists attribute it to the power of the Hair relic enshrined in the Pagoda. 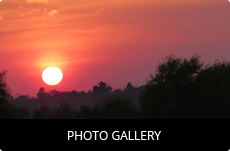 The Pagoda is a glowing affirmation of Myanmar’s spirituality. Although small in size, it is one of the most revered and celebrated pagodas in Myanmar. 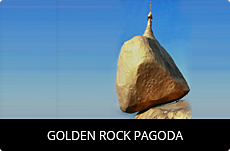 The Golden Rock Pagoda is recognized as one of the wonders of South East Asia by recent publications from Tourism Authorities in ASEAN Countries.